Ellie DeGarmo is from Baltimore, Maryland. Growing up in New York City until age nine, and then relocating to Baltimore sparked Ellie’s interest in the stark inequality that is present in many United States cities. Through majoring in the Woodrow Wilson School and pursing a certificate in Global Health and Health Policy, Ellie has developed a passion for public health and health policy as means for addressing inequality that manifests in health disparities. She has spent her past two summers engaging in HIV/AIDS research, and wrote her thesis on the intersection of this community and the effects of recent health care reform. 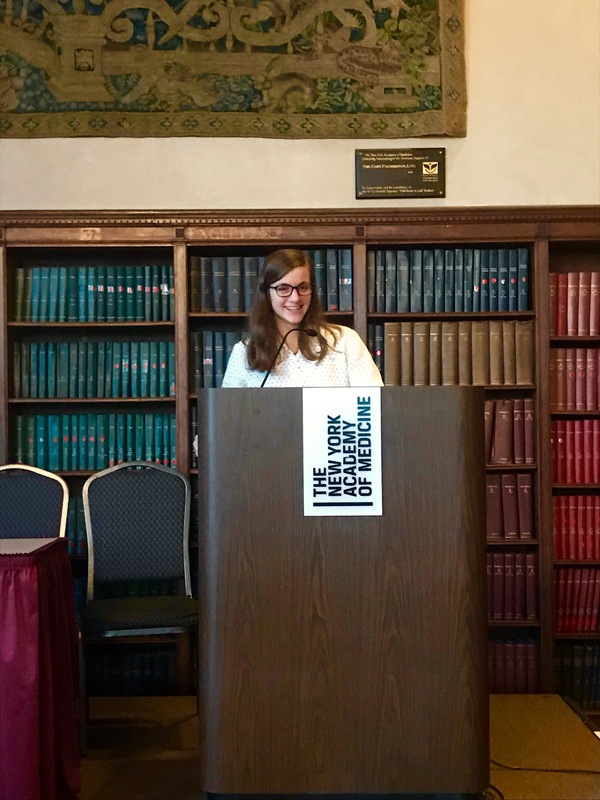 She is excited about the opportunity to expand her knowledge of and gain experience in public health as a part of the New York Academy of Medicine’s Prevention and Community Development Team. 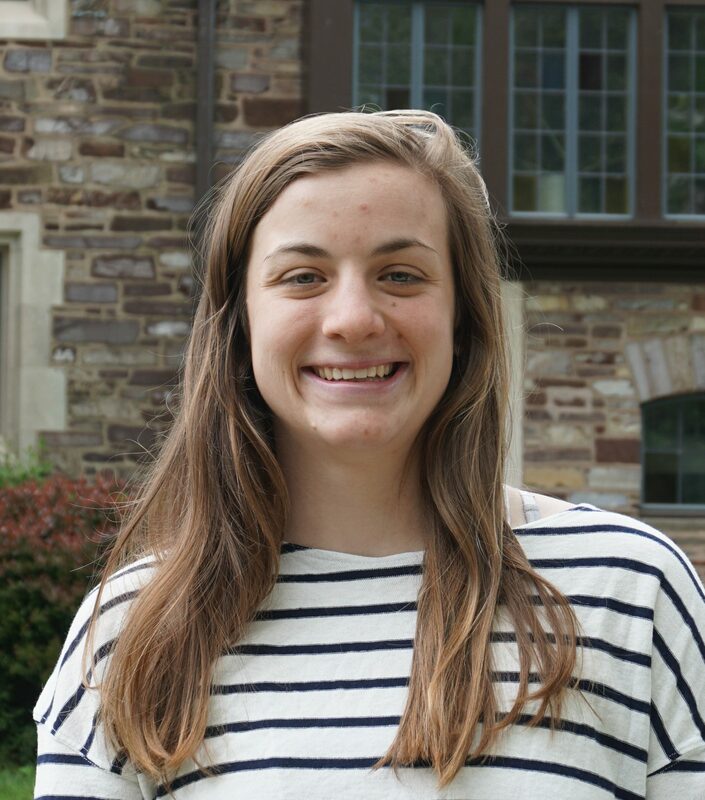 Ellie is also an All-American lacrosse goalie for Princeton’s varsity lacrosse team and in her free time, she enjoys backpacking – most recently hiking 170 miles of California’s John Muir Trail, finishing on the summit of Mount Whitney, the highest point in the continental United States. “Try to envision the rest of your Fellowship here as if it were your freshman year of college,” my boss told me in the days leading up to her departure from the New York Academy of Medicine (the Academy) in December 2017. She meant that in my new role, I would have the chance to explore an array of different subject areas within the realm of public health. As sad as I was to see my first “real world” boss go, I was excited by the opportunity that lay ahead of me. I remembered her words as I transitioned from my initial assignment on the Community Development and Prevention team to a new one on the Population Health and Health Reform team. My work focus shifted from the New York State Prevention Agenda and associated technical assistance to advancing state-level efforts to improve primary care delivery and health care payment models. Along the way, I also got to work with the Center for Health Policy & Programs’ Drug Policy and Criminal Justice Reform team as well as the Academy’s Center for Evaluation and Applied Research. Having the opportunity to work intensely on a wide variety of projects has expanded my understanding of public health and honed my skill set far beyond what I believe is typically expected from a job right out of college. While I am still evaluating my next career steps, I can move forward with confidence, knowing that this invaluable on-the-job experience is preparing me for future public service work and exposing me to many of the directions it might take.